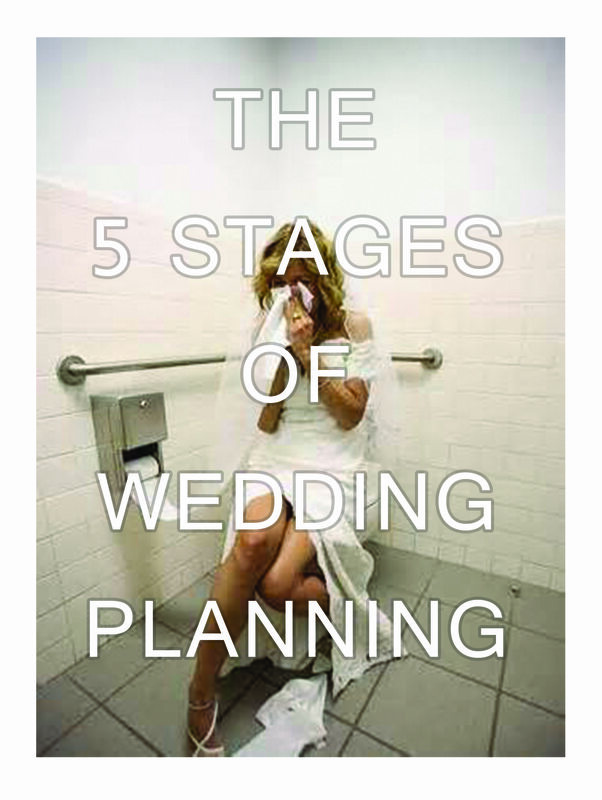 Your've probably heard about the 5 stages of grief but have you heard about the 5 stages of wedding planning? Oh my goodness this is SO exciting- I have no idea why people complain! Holy shitballs- there is literally so. much. to. do. I did it! I can't believe I have most of this wedding business under control- I don't know what I was worried about. OK so I did not think about how this was all going to come together- um who's setting up on the day? So many things, so little time. Wow, wedding day is over, went by so quick. Why did I stress so much? I really didn't care about any of that on the day? So...what's going on with my life again?